Hannu Kupila, AddSecure Oy, Country Manager shaking hands on the new partnership with Jan Pelttari, Department Manager Service Tampere Bravida Finland Oy. 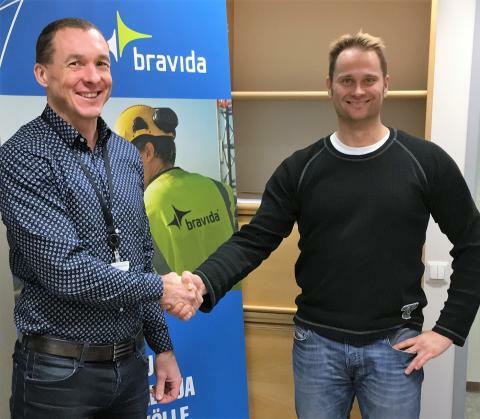 AddSecure, a leading European player within secure critical communications, today announced that it has entered into a partnership with Bravida in Finland. The partnership is part of AddSecure’s overall growth strategy and increased focus on the Finnish market. Under the agreement, Bravida Suomi Oy will sell and distribute AddSecure’s Smart Alarms offering to Finnish customers. The partnership with Bravida will support AddSecure Oy’s establishment on this market through Bravida’s market coverage. 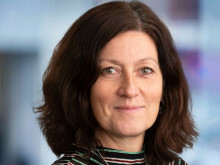 "Competent partners are key when the importance of secure critical communications solutions in society grows. 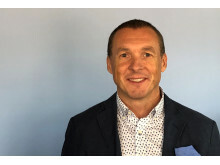 Bravida is a leading provider of building automation technology and we are delighted with our cooperation,” says Hannu Kupila, Country Manager Finland at AddSecure. ”AddSecure is an experienced and reliable partner, which provides secure critical communications. AddSecure’s communication solutions completes Bravida’s security systems. Now we can provide a comprehensive system to our customers”, says Bravida Finland’s Fire & Security Commission Engineer Max Kauppinen. The agreement was signed on November 30, 2018. 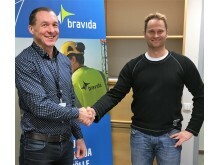 Bravida is a leading multi-technical service provider in the Nordics, with more than 10,000 employees. Bravida delivers specialist services as well as complete electrical, heating and plumbing, HVAC, security, cooling, sprinklers, technical service management and power supply solutions. Bravida is represented in more than 150 locations in Sweden, Norway, Denmark and Finland. Different businesses have a range of security and fire safety needs. Bravida assesses your requirements, designing and installing fire and intruder alarm systems, access control systems, CCTV and overarching platforms. Our products and services are based on our proprietary Bravida Integra system and range of fire alarm systems. AddSecure is a leading European player within secure critical communications. The company provides over 50,000 customers and partners around Europe with secure communication solutions within monitored alarms and critical IoT communications. In total, AddSecure has delivered close to 400,000 connections and one million units. The solutions - which help save lives, protect property and secure vital societal functions - are flexible, easy to install and help increase customers' competitiveness. Addsecure works mainly in the following business areas; building security, building automation, energy and smart cities, as well as fleet management. The company founded in the early 1970s today employs around 300 staff. AddSecure has its headquarters in Sweden and regional offices as well as a network of distributors around Europe. Other companies in the AddSecure group are Contal Security, a leading Swedish supplier of solutions for digital in- and outward alarm transmission and integrated security systems, and Vehco, a leading European Fleet Management Systems specialist providing proprietary IoT solutions to a range of large and small customer HCV (Heavy Commercial Vehicles) and mixed fleets across Europe.AddSecure is owned by Abry Partners, an American private equity fund founded in 1989 and headquartered in Boston, USA. For more information, please visit www.addsecure.com.